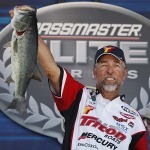 John’s Note: Ken Cook quit his job as a fisheries biologist in 1983 to become a professional bass angler. 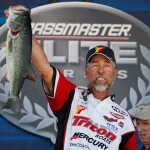 The Oklahoma resident participated in a multitude of tournaments, including BASS and FLW events, for many years, staying on the water fishing for bass about 200 days a year. 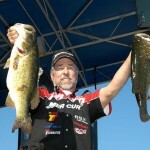 After retirement from his long career as a professional bass angler, he now has devoted his life efforts to making Tarbone Ranch in southwest Oklahoma a destination for others who share his passion for all things wild, offering a limited number of hunting and photographic safari opportunities for trophy game animals – deer, elk and bison. Cook still remains a consummate student of fish and their behavior. During the spring spawn in many lakes, a person can just about walk from boat to boat, as anglers attack the shoreline, harvesting the rich bounty of crappie that move into shallow water to lay their eggs. But when the spawn is over, and the crappie leave the shallows, so generally do the fishermen. Although there’s still plenty of crappie in the lake to be caught, many anglers don’t know where to find the crappie or how to catch them after that spring spawn. 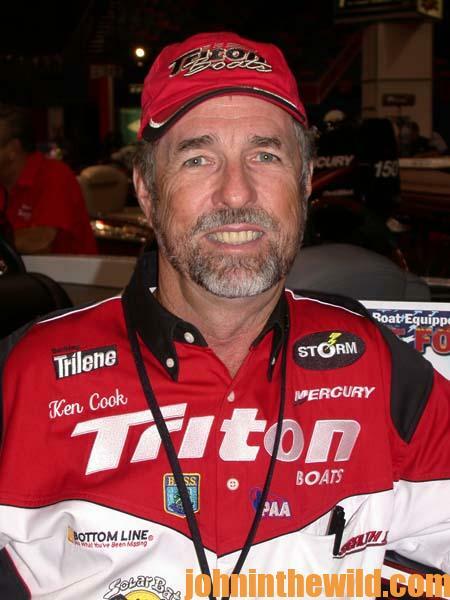 A fisheries biologist at one time, Cook’s knowledge of fish and angling encompasses far more than the sport of tournament fishing. 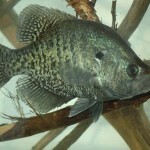 According to Cook, “Remembering that the crappie is a member of the sunfish family just like the bass is important, because these two species are similar in many ways. 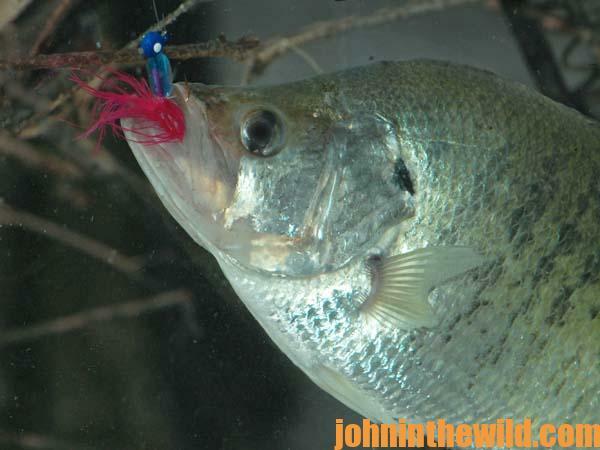 They’re both very structure- and cover-oriented, and both species during the spawn fan a bed in fairly-shallow water and deposit their eggs, which is the time when both crappie and bass are easier to take. 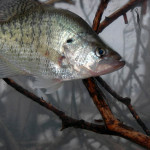 After the spawn, both bass and crappie move to deep water, which is when most anglers have a difficult time catching crappie or bass.” When crappie come off the bank to move to deep water, they often become edge feeders – swimming and holding along various edges like ledges and drop-offs. To learn much more about crappie fishing, get John E. Phillips’ Kindle eBooks and some print books, “Crappie: How to Catch Them Fall & Winter,” “Crappie: How to Catch Them Spring and Summer,” “Catch Crappie All Year” and “Catch Cold Water Crappie Now.” Click here to get these books. 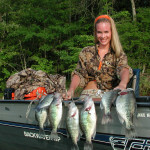 You also can download for free John and Denise Phillips’ “The Crappie Catcher’s Cookbook” here.